Newspaper magnate David Black is proposing a $13 billion oil refinery to be built in Kitimat to process oil from the Northern Gateway pipeline before shipment. 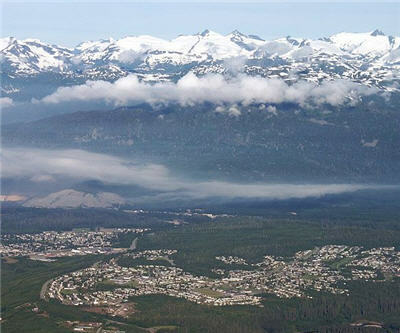 Black's company, Kitimat Clean Ltd. is submitting an application to ". . .build a world scale oil refinery at Kitimat BC." "The refinery will have the capacity to process all of the output of the planned Enbridge Northern Gateway pipeline," said the company in a statement. "The refinery will be state-of-the-art and designed specifically for processing Alberta oil sands heavy crude oil. We want it to be the cleanest and greenest upgrading and refining site in the world." The plant would be able to process 550,000 barrels per day. Diluent would be returned to Edmonton through Enbridge's secondary line. If approveD construction would begin in 2014 and finish six years later. Black's company says the refinery would make shipping from Kitimat safer. "First, the refinery removes the threat of offshore pollution from a heavy crude oil spill. Transportation of refined fuels is much safer. Gasoline, kerosene and diesel all evaporate. No extensive remediation would be required if there ever were an accident." The constructions phase would create 6,000 jobs. Three thousand direct jobs would remain after the plant was running. There is some push back. Art Sterritt, executive director of the Coastal First Nations, says the environment would be threatened by the refinery. Black had briefed the Premier Christy Clarks months earlier on his proposal. There is no word on her response.